P & O Ferries depart from Hull to great destinations in Germany and Holland. With great entertainment, delicious food and comfortable ensuite accommodation your holiday starts as soon as you set sail. Overnight crossings ensure that you arrive rested and ready to travel to your European destination. The Port of Hull in Yorkshire is an ideal place to travel from for those who don`t wish to drive to the South of England for their ferry crossing. The great motorway network makes Hull easily reachable by car or coach. Time spent driving to the English Channel can be time spent aboard the ferry, enjoying live entertainment, cinema, casino, restaurant, bar or lounge. 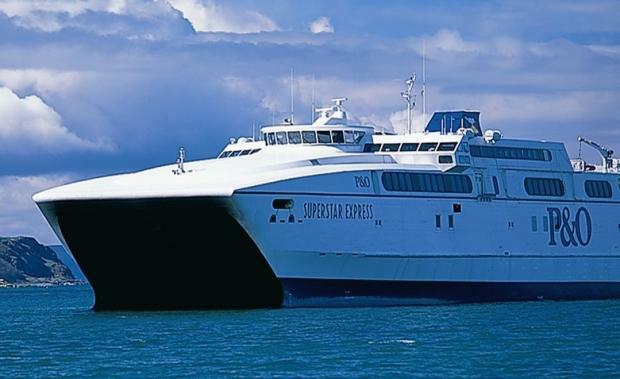 Ferries from Hull go to Zeebrugge in Belgium and Rotterdam in Holland. Zeebrugge is a short distance from the popular resorts of Ostend and Blankenberge. The beautiful medieval town of Bruges is a few miles away where you can sample locally made Belgian chocolate, beer and great food. Explore cobbled streets and canals, visit museums and medieval buildings and soak up the culture and history. Or simply relax and enjoy the great atmosphere in the beautiful town square. Other great places to visit here include Strasbourg, Luxembourg, Antwerp and Brussels, which are all within easy driving distance. The Hull to Rotterdam ferry crossing with take you into the world`s largest harbour city. With its beautiful architecture and great atmosphere this is a fascinating place to visit. To find out more about the local culture and history there are many museums and art galleries here. You can also visit the last of the working windmills, De Ster and De Lelie are open to visitors and make a great day out. Visit the great shopping centres at Hoogstraat and Lijnbann or explore the many open air markets here. Sample the great local food and beer at the many restaurants and cafes across the city. The stunning Botanical Gardens provide an oasis of calm where you can see fascinating plants from across the globe. A popular way to travel here is by bicycle, most main roads have separate bicycle lanes and they are easy to rent during your stay. A short distance away from Rotterdam lies Amsterdam, where life moves at a slower pace. Relax and take a cruise along the tree lined canals which wind through the city. You can take in stunning artworks by Van Gogh at the Van Gogh Museum and the Rijks Museum where works by Rembrandt are displayed among other great local artists. There are many great museums and historical sites to visit here such as The Anne Frank House. The 9 Streets is an area with great shops and markets where you can find ideal gifts and bargains. There are many cafes and restaurants where you can stop for refreshment after a long day of shopping. Concertgebouw offers regular live music and concerts and Westerpark has beautiful gardens and great restaurants where you can sample the best of local cuisine. With lots to see and do and its great laid back atmosphere Holland has something for everyone. These great European destinations and more are within easy reach with P&O Ferries Hull makes an ideal starting point for a perfect holiday.